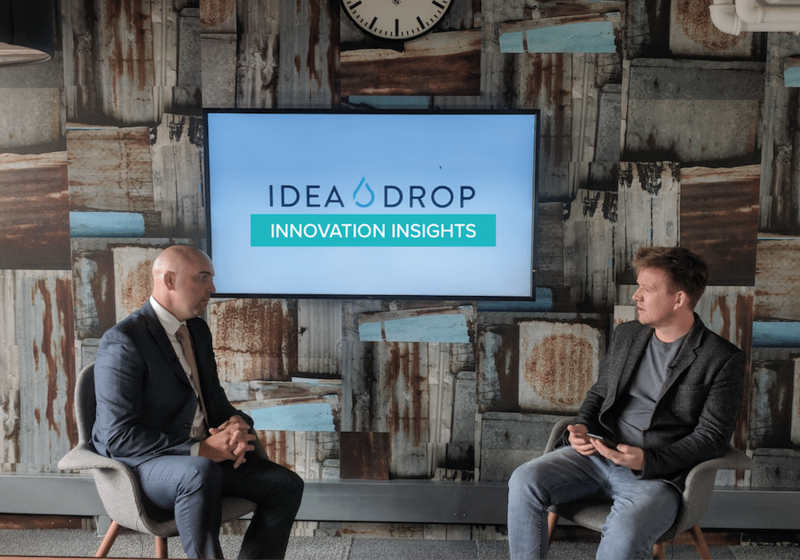 In this episode of Innovation Insights, we had a pleasure to be joined by Jonathan Patterson, Managing Director and Head of Development at DWF Ventures. Jonathan is a pioneer in the business of law with particular expertise in change and innovation. Innovation has never been as important to law firms as it is at the moment. “The sector is very competitive and if you stand still, people will pass you.” says Jonathan Patterson, who also shares his insights on the importance of innovation being more than just a checklist of things to have, but rather being hard-wired into the business strategy. It’s based on creating an organisational culture of innovation and capturing ideas from across the whole organisation. Jonathan also speaks about Engine 1 and Engine 2 theory, which is based on having a structure to capture and action sustained and disruptive innovation. DWF Ventures have developed a structured way to categorise people’s skill sets and identify people contributing to both: Engine 1 and Engine 2 innovations. 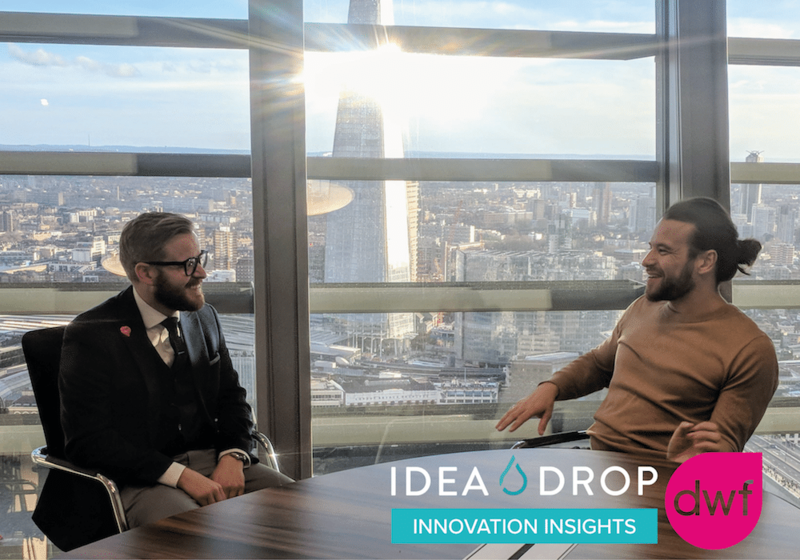 Below you can find a transcript of this week’s Innovation Insights with DWF Ventures, highlighting key points regarding the importance of embedding innovation within your organisation’s business strategy. Charlie De Rusett: Today, I’m hugely privileged to have Jonathan Patterson, Managing Director of DWF Ventures with us. 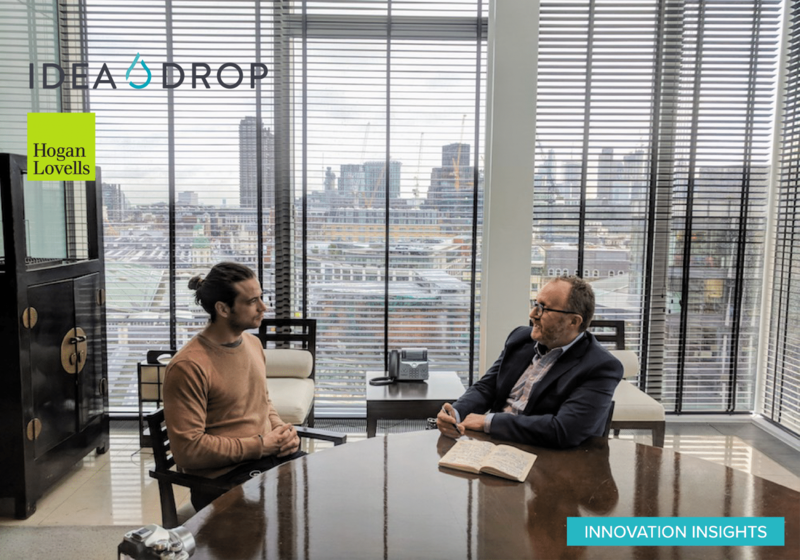 Jonathan is a pioneer in business law, he is also a real innovator and I am excited for him to share some insights into what DWF are doing particularly well. Jonathan Patterson: When we think about innovation, there are many things to consider. The first thing is making sure that innovation is part of your business strategy. Once you go beyond that, there are two dimensions to innovation. First, you have to be pragmatic and practical and always think about what results are going to come out of innovation. You can’t have a lot of ideas that will never see the light of day and which will never be commercialised and won’t make any money. Secondly, which is just as important but often overlooked, is creating a culture of innovation within your organization. For me, that does not necessarily mean having innovation committees or people with innovation badges and roles. But rather, how do you find methods, models and engagement initiatives which allow ideas to come from anywhere in the organisation. These are the main two aspects I take into consideration when looking at innovation from a strategic perspective. C. D. R: So that’s the theory, and I believe, DWF are one of the best firms when it comes to putting it into practice. As you said, you are engaging different parts of the firm in different ways around different problems. One of the things that I particularly like that you talk about is ‘Engine ‘1 and ‘Engine 2’ innovation. Can you expand upon that for us? J. P: So ‘Engine 1’ is the idea of sustained innovation, which allows you to make improvements to your current business model and processes. It essentially makes life better for your clients and customers. C. D. R: So the incremental innovation? J. P: Yes, and this kind of innovation is now being used in the legal sector a lot, from utilising technology, changing resource models and improving processes. It is the idea of implementing smaller ideas to make amendments to the current processes, however, the business model stays the same. Incremental innovation is very important, especially because the sector is very competitive. Standing still will only allow your competitors to pass you. ‘Engine 2’ is trying to legitimise the idea that we might need to take longer-term bets on what could happen in the future and also try and categorise people’s skills. Some people are natural improvers while others are natural inventors. We have utilised a sample test which gives individuals an idea of whether they are more Engine 1 or 2, and then we try and group these individuals together. It is important to have both types and you can not do one or the other. This is what historically was being done – conventional firms were focusing on improvements meanwhile new entrants were implementing new business models. Although to be successful in the legal industry, you have to be able to do both and build a model for both types of innovations and have the people with the skills to enable this. C. D. R: That’s fascinating. What I am interested in, how do you make that a reality? You talked a lot about people and touched upon processes. So on that part, how is DWF identifying people who are contributing to ‘Engine 1’ and those who are contributing to ‘Engine 2’? J. P: It is very much about providing stimulation, trying to tell stories and giving people a sense of time and the relevant information to come up ideas. Another dimension, as well as engagement around culture, is skills. For example, in a classic legal services organisation there is a big emphasis on development and skills, however, it tends to be focused on specialists. With this, comes in-depth learning around the intricacies of a particular law or on soft skills such as how to present, how to influence or how to be resilient. Which is all very important but a lot of the training from these specialists is very much based on logic and reason. We found that many stereotypes should be disregarded. There is a lot of focus on millennials generating the cool and brand-new ideas, whereas, others do not. This is not necessarily true. I believe the more you are able to mix people from different generational perspectives, skills and experience, the better the outcome. Additionally, different projects will require different mixes of skills. For example, many technical projects will require people who have extensive legal knowledge and projects which are heavily technologically driven will require the equivalent skills and knowledge. However, a role which often is overlooked but plays a key part is a ‘translator’ in a middle. We try to find people who can bridge gaps between different parties. Even our business model, the way we create new R&D prototypes, we pick from a range of people. These can range from specialists from clients, DWF specialists who have knowledge in particular areas, we take outside development partners and we try to involve users from a feedback perspective. Often, we ask technology providers or specialists to give us a prototype to play with. And in the middle, we have people who we call ‘lawyer whisperers’ and who can contextualise what we are doing on our legal services by translating what people are saying and getting the design right. C. D. R: I love this topic because I believe that without people there is no such thing as innovation. Once you have all the people in, what are the next stages that should be put in place to see ideas being actioned? J. P: At DWF we use three different phases in R&D, and these phases may not work for everyone, but they do for us. The first phase is, helping people conceptualise their idea. Essentially it helps them to self-conceptualise what the idea is and is it worth more time and investment. This is done through a simple set of questions which focuses on areas such as validation of the idea from an external perspective, from let’s say the client, customer or a user. It’s also important to know if the person is able to articulate their idea in 200 words, as no one wants to read pages of infinite details of how an idea began. The questions also focus on what kind of resources will be needed to create a demo of the idea that could be then presented to clients. These 10 or 12 simple questions are a way of self-policing. As someone could get to question 4 and realise the idea is not as impactful as they hoped. The second phase is the prototyping. Here, we do low-cost demos which can be as simple as creating a slide deck to show to someone within the organisation or a client for feedback. The third phase of R&D is taking the idea from the demo stage and handing it to either a client or keeping it inside the business. This last phase is overlooked by many organisations as it no longer stays in the R&D stage and it moves to the operational stage, therefore, it must be in line with your organisation’s internal operational processes. At times, many ideas cannot be viable at this stage because they would not be able to scale within a current organisation or client’s existing business model. The third phase of the process is about creating an environment in which that idea grows from R&D to operations in its own start-up conditions that do not necessarily affect the current business model. C. D. R: Thank you, Jonathan, for your time, I learn so much from you every time we speak. 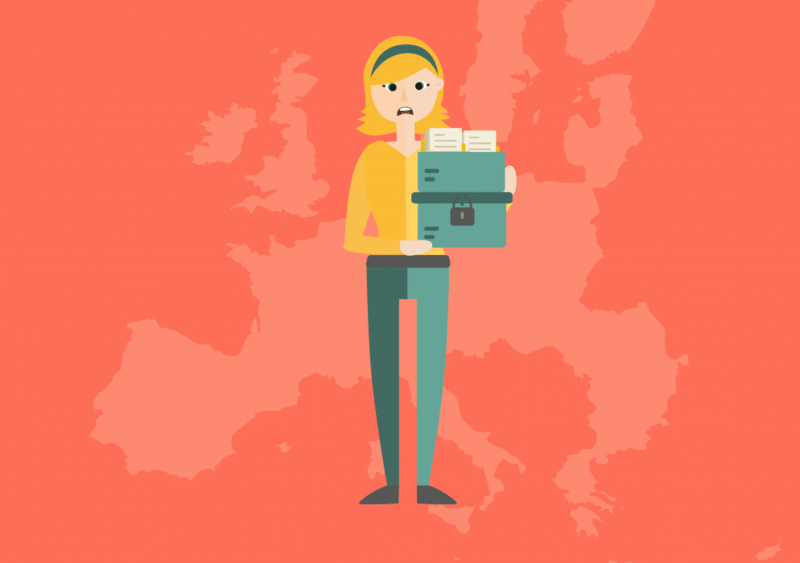 GDPR – What is it? and how have we prepared?